We end our season in a blaze of horns as an expert line-up celebrate Sibelius’ 150th anniversary. Jonathan James talks Sibelius with conductor Vladimir Ashkenazy. Vladimir Ashkenazy is one of the foremost musical figures of our time, who first built an extraordinary career as an acclaimed pianist, and latterly as one of the most highly respected conductors in the world. Formerly Chief Conductor of the Czech Philharmonic, Ashkenazy has also been Music Director of NHK Symphony Orchestra in Tokyo, and Principal Conductor and Artistic Advisor to the Sydney Symphony Orchestra. 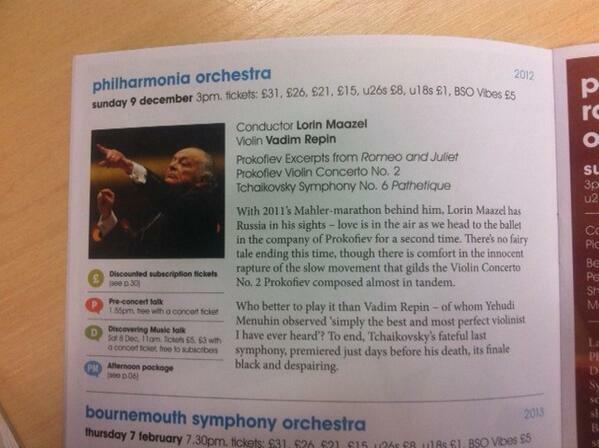 He has a longstanding relationship with the Philharmonia Orchestra as their Conductor Laureate. In 2013, Ashkenazy celebrated 50 years as an exclusive Decca recording artist. With repertoire ranging from Bach to Bartók, his discography has won numerous awards, including seven Grammys. Ashkenazy has also been involved in several television projects, including Superteachers, in which he worked with inner-city London school children, and a documentary based around his Prokofiev and Shostakovich under Stalin project. Finnish Soprano Helena Juntunen is world renowned for her expressive character portrayals in the lyric repertoire, and has undertaken numerous roles with opera houses all over the world. Juntunen performed many roles during her association with Finnish National Opera, including Sophie (Der Rosenkavalier), Micaela (Carmen), Liu (Turandot), and Mimi (La Bohème). A specialist of Finnish music and in particular of the works of Jean Sibelius, she has performed Luonnotar with the London Philharmonic Orchestra under Osmo Vänskä and the Philharmonia Orchestra under Vladimir Ashkenazy and has created a number of contemporary roles. Recent concert highlights include her recital debut at London’s Wigmore Hall, her debut with Sydney Symphony performing Sibelius’s Kullervo under Vladimir Ashkenazy, Beethoven’s Missa Solemnis with the London Symphony Orchestra (at the BBC Proms and Lincoln Center) under Sir Colin Davis, among others. Interviewing Vladimir Ashkenazy @Colston_Hall tonight. Damned exciting. Everyone should come and see the Bristol Schools Philharmonia Orchestra concert at the Colston Hall this Wednesday, "Home By Christmas"